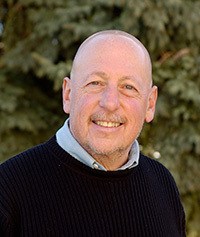 A national organization recently honored University of Wyoming College of Education Professor Martin Agran for his decades of service advocating for persons with disabilities. TASH (formerly The Association for Persons with Severe Handicaps) honored Agran, UW professor of special education, during its 40th anniversary conference in Portland, Ore. The group recognized Agran’s years of service on its board of directors, which ended earlier this year. It also acknowledges his seven years as editor-in-chief of its journal, Research and Practice for Persons with Severe Disabilities. TASH differs from many scholarly associations, accepting an activist commitment to advocating for persons with disabilities. Members include scholars, public policy specialists, parents, self-advocates (persons with disabilities), administrators and others committed to common issues. Agran joined the TASH board while still serving in his editorship role. He says serving with fellow members representing some of the other internal stakeholder groups was an eye-opening and productive experience. “We all shared the same values, but our way of addressing issues differed,” he says. TASH leaders rely on the kind of research that is the hallmark of Agran’s career to inform actions. Agran’s continuing dedication to quality research, and to TASH, extends beyond his journal editorship to two organization-sanctioned books. The first, edited by Agran, was a volume, titled “Equity and Full Participation for Individuals with Severe Disabilities: A Vision for the Future,” published in 2013. That volume shares cutting-edge research by scholars working in the field. The second, “TASH: 40 Years of Progressive Leadership,” offers a retrospective of the organization and its impacts on legislation, practice and other issues. Agran says his involvement with both projects was sparked by his previous work and his ongoing commitment to research and TASH.